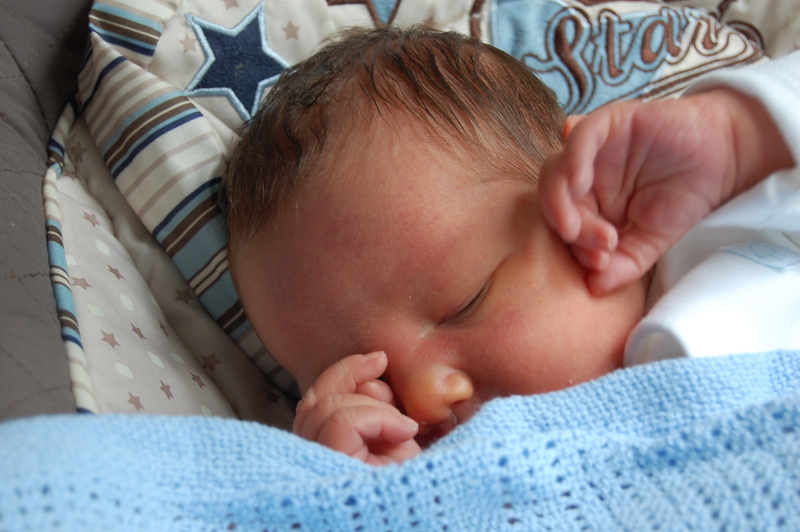 In late October 2012 quite unexpectedly I found out I was pregnant with my 3rd child. 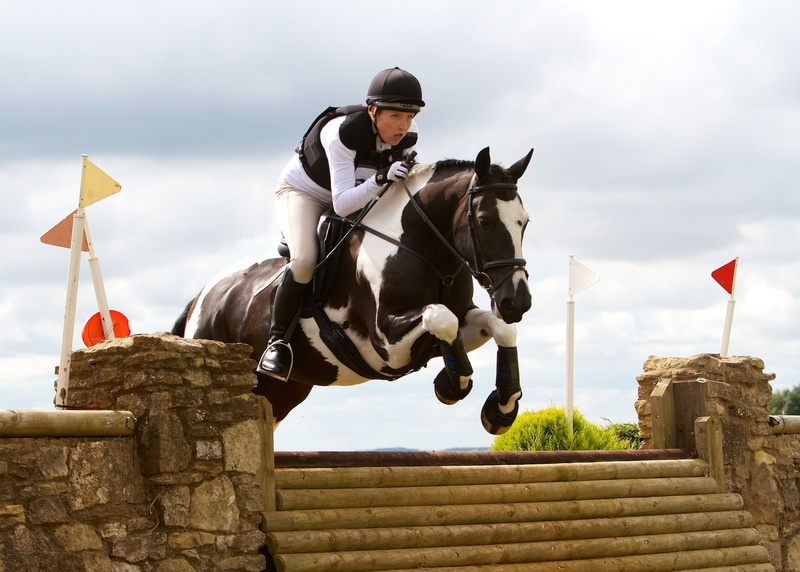 Eventing wise it did put a spanner in the works as I have had to miss most of the 2013 season as I was quite heavily pregnant by March. Despite this I carried on riding, competing in BS until the end of 2013 and British Dressage, horses until I was about 30 weeks pregnant. I also carried on jumping small fences and doing pole work at home and lots of hacking. I was lucky to have help from Amy Benton who was able to take Wanda round Waresley Park gallops for me (my last ride was at 34 weeks pregnant when I walked off Wanda post gallops). I also had some help from Rosie Lloyd who I used to teach and have known for years, Clare Elbrow who had previously broken Wanda and helped me with some flatwork schooling and jumping and Coco Chambers our fantastic groom who continued to hack Wanda in the late stages of my pregnancy and when the baby, Tyler Bobby was born on 26th June 2013. If it wasn’t for my super team and family I would have been totally stuck and i’m so grateful for all their support and kindness. My name is Nikki Goldup and I live on a farm just outside Cambridge with my partner and 3 sons who are 6, 3 and 3 months old. In addition to raising my children I work for my parents scientific engineering firm which suits my hectic life as its just next door to my home. 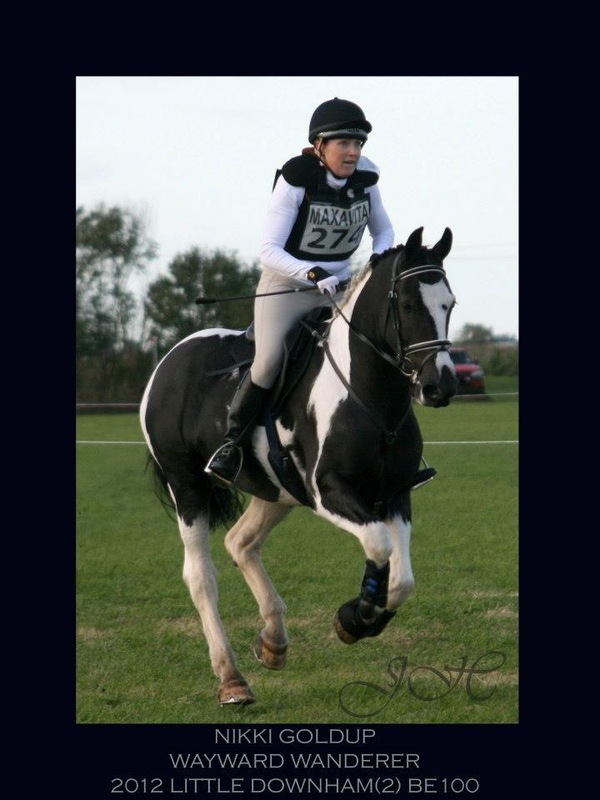 I’m lucky enough to ride and compete on Wanda an 8 year old, 15.2hh, WB x Gypsy cob that I had brought from a local rider Tessa Frost. Wanda (or Wayward Wanderer as she is formally known) had evented with Tessa and done some BD. I’ve owned Wanda for just over a year now. Previously I had ridden as a teenager and evented up to Intermediate level and did a lot of show jumping. I then had a break of about 18 years and started riding again when my second son was 4 months old. The first horse that I owned wasn’t entirely suitable for eventing and in my personal life I was also going through quite a rough time. Sometimes I think you don’t find good horses, they find you and Wanda literally came knocking on our door. My trainer Val Gingell, who I’ve worked with since I was about 15 recommended that I went to see Wanda and we immediately clicked. Wanda is the sort of horse that is very confident, worldly wise and always makes you happy when you ride her. After purchasing her in May I did 3 BE 90 events and one 100 at Little Downham. After competing at Little D my aim was to hit the ground running in Spring 2013 and see is we could upgrade to Novice sometime during the season. Little did I know how things would turn out!